Click "read more" below to see more pictures! This colour is really interesting. 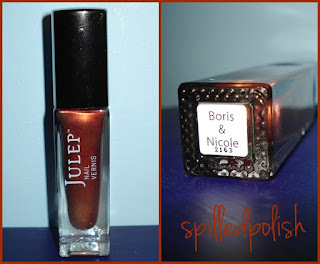 It looks like a metallic brown in the bottle, but when you apply one coat on your nails, it looks like a dark red. After two coats, it turns into this nice brown. 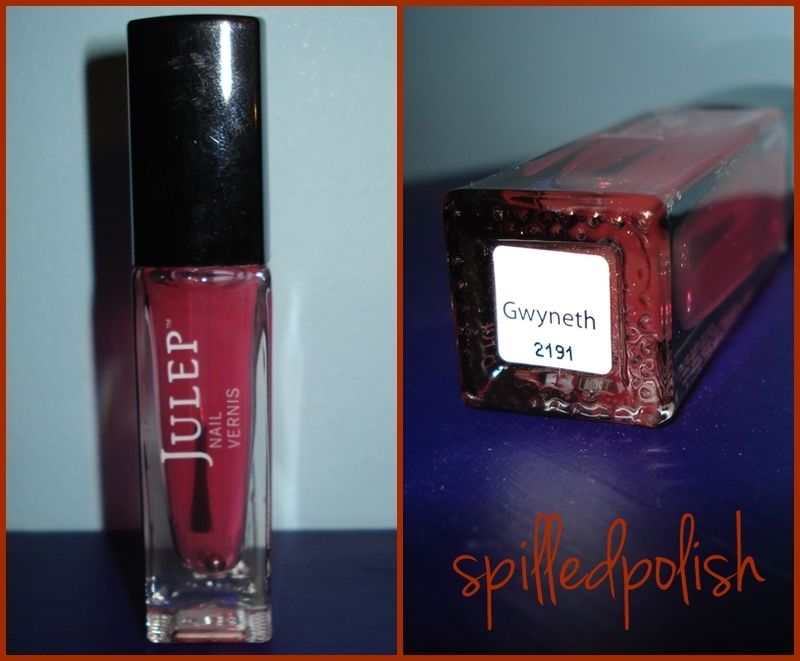 Gwyneth is just a base coat. Julep is the best! They always add in cute surprises for the holidays! 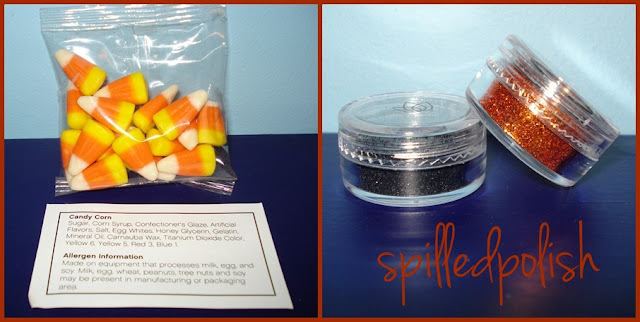 This month they added in Candy Corn & some glitter pots!